Last week on American Idol we saw the ousting of Jermaine Jones for his criminal pastimes, and said goodbye to youngster Shannon Magrane. I wasn’t surprised by the Idol antics or the fact that America voted off Miss Magrane. She is definitely a talented girl but I felt like she was always a little over her head and not quite ready for the Idol stage. What did surprise me was the fact that soul songstress, and my favorite contestant by far, Elise Testone was in the bottom three. What the hell America…there is more to music then cute guys with guitars and teeny bobber pop singers. Boring! Anywho…enough ranting and on to the food. Tonight I’m cooking up another snack for Yahoo! Music blogger Lyndsey Parker and her Reality Rocks blog. I was in Austin last weekend for the SXSW music festival where I had the pleasure of co-hosting with Lyndsey on her internet series, The Day After. Once I get caught up from the craziness of the last few days I’ll definitely be posting some pics of my favorite SXSW acts! For tonight’s Billy Joel themed episode I took a cue from his hit, “New York State of Mind” and combined the fast paced lifestyle and food vendor fair of NYC. 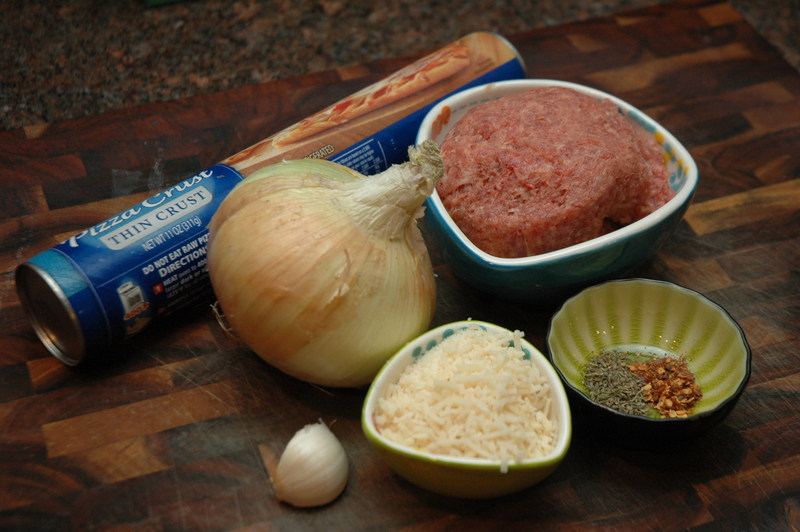 This quick and easy recipe is a homage to the catchy cliche “in a New York minute”. 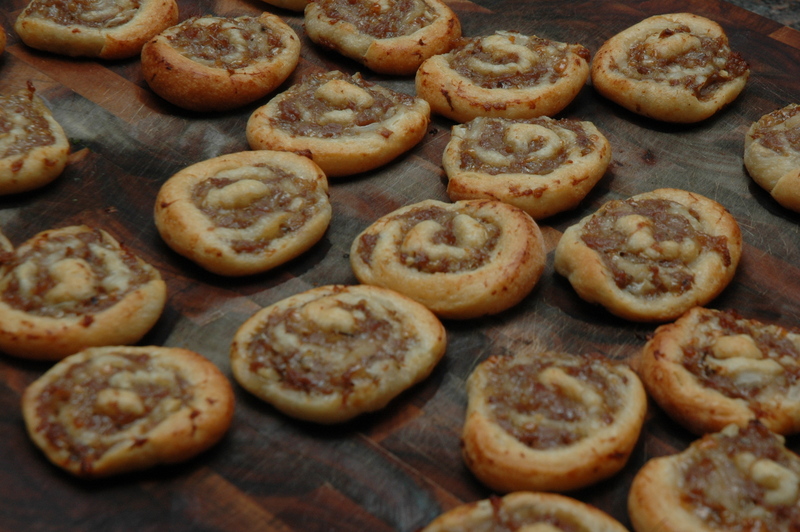 So try it out, it will be hard to eat just one! 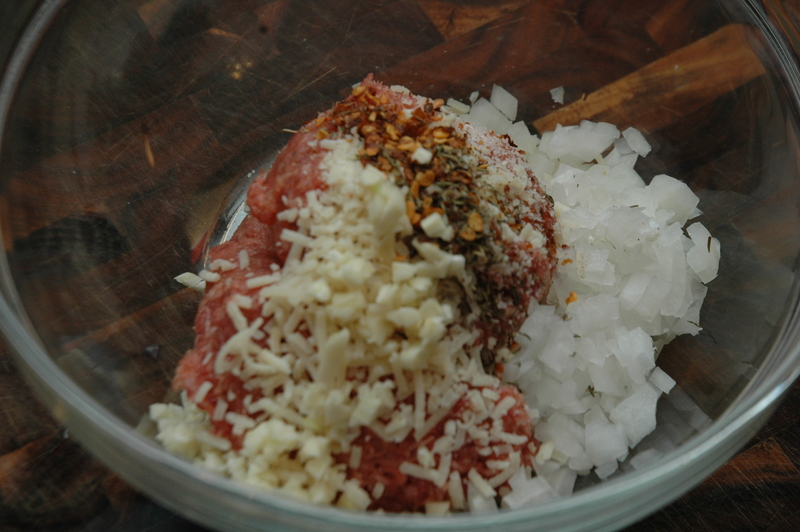 In a large bowl mix together the sausage and the next 5 ingredients, through the pizza dough. 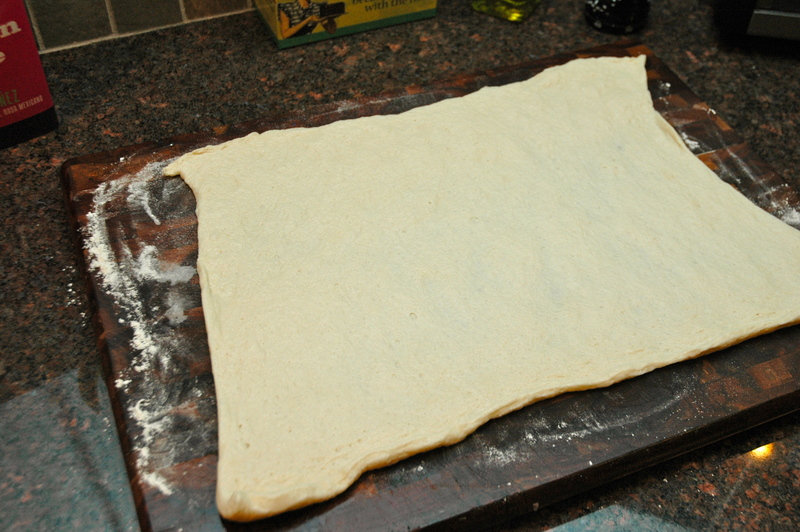 Unroll dough onto a lightly floured work space. 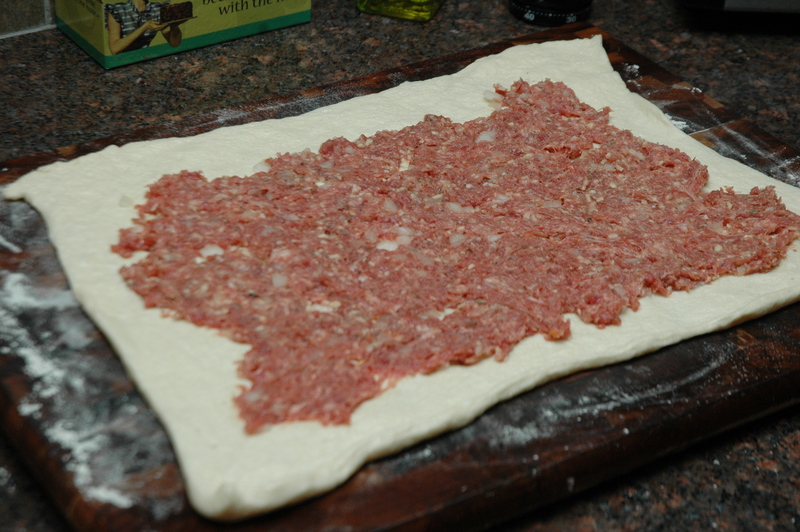 Gently spread the sausage mixture onto the dough. Starting at the bottom roll into a log. 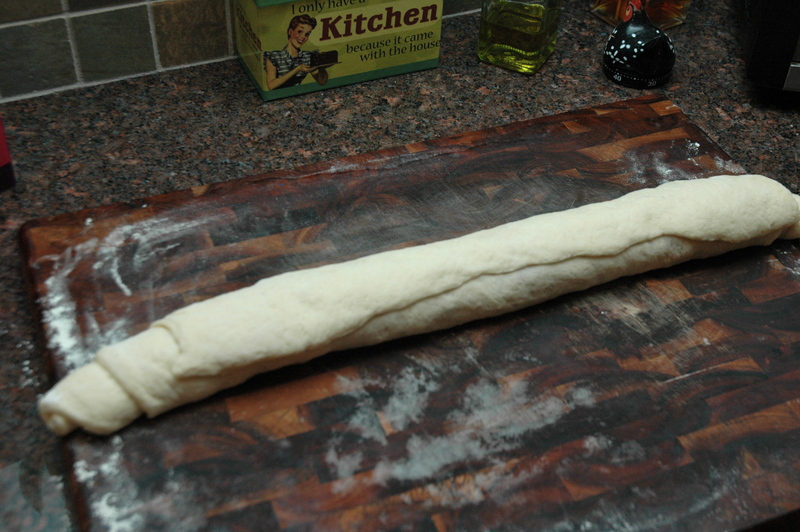 Cool in the refrigerator until firm (this will help it slice better). 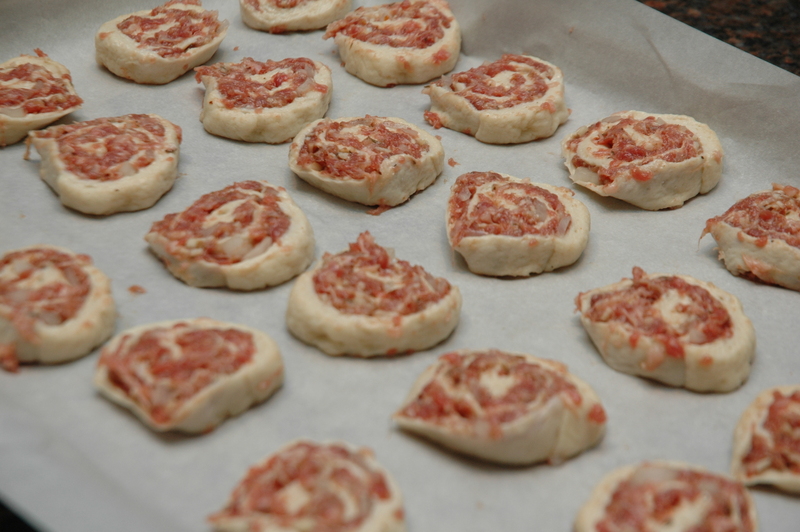 Cut the log into 1/2″ pinwheels. 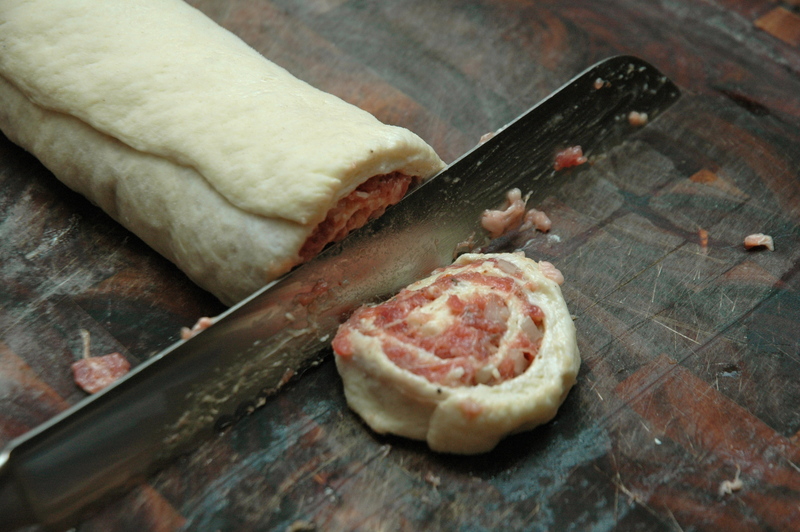 Bake until the dough is golden brown and the sausage is cooked through, around 25-30 minutes. « American Idol, The Day After with Special Guest, ME! !